For offshore workers in the North Sea, regular medicals are part of the job. 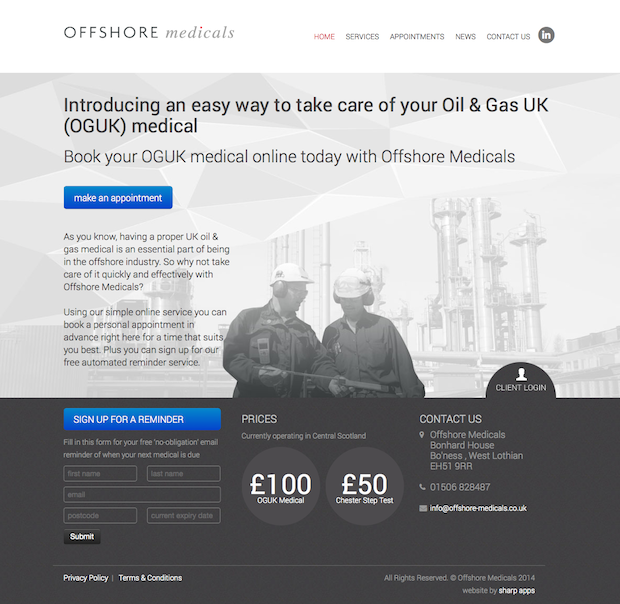 Making that as simple as possible to do was the objective for Offshore Medicals. And Sharp Apps duly delivered. Our secure online appointment booking system lets workers and GPs arrange, manage and book medicals quickly and easily – as well as providing reminder texts, medical certification online and medical record storage.